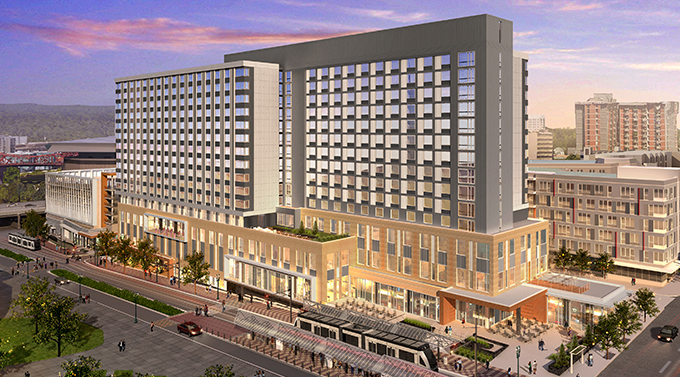 This 600-room hotel is being built to help attract conventions to Portland. It is financed through a combination of public and private funds. PCI helped the general contractor by offering details and budgets early in the process and built mockups to present to the city design review board.